Our campsite for the night was at the furthest point south that we could drive. It put us about a mile or so from the cabins that the Park Service rents out. There were more people than we were really comfortable being around. We made the best of it and found some amazing shells. After two nights and a cooler full of shells, we decided to head north again. We topped off our water jugs and set out. We chose a place about fourteen miles up the beach. The area didn’t look prone to flooding and wasn’t impacted by high tides. We stayed in this place for the rest of our trip. Once again the most regular visitor was the park service volunteers on their four wheeler. The water was a little cooler then the previous year, but the experience was equal to or better than before. For us, Portsmouth Island, North Carolina is nowhere near the, “death trap of an island” Corey described. 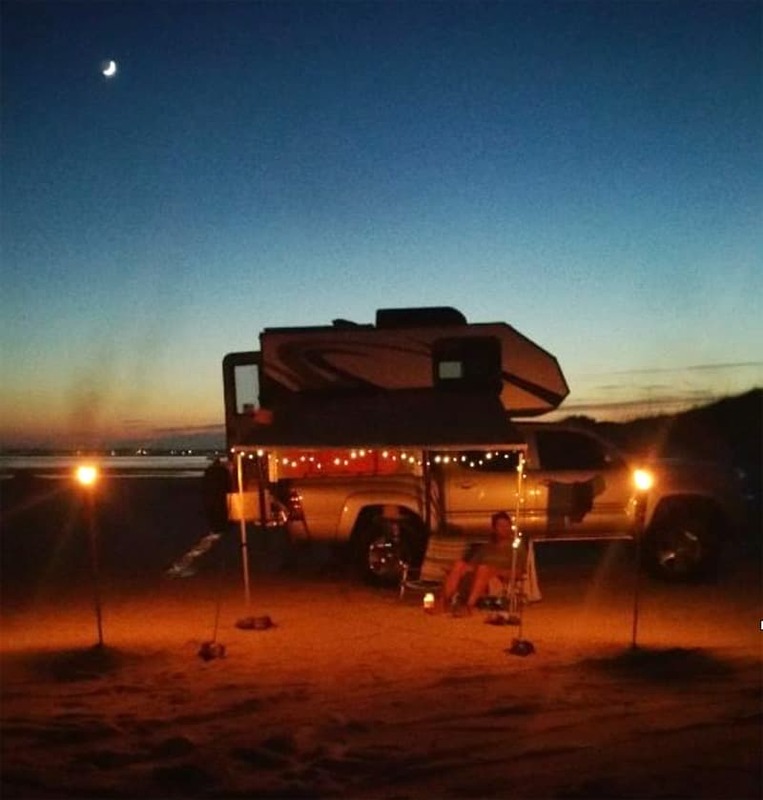 It’s actually a unique opportunity to camp at the ocean and relax.